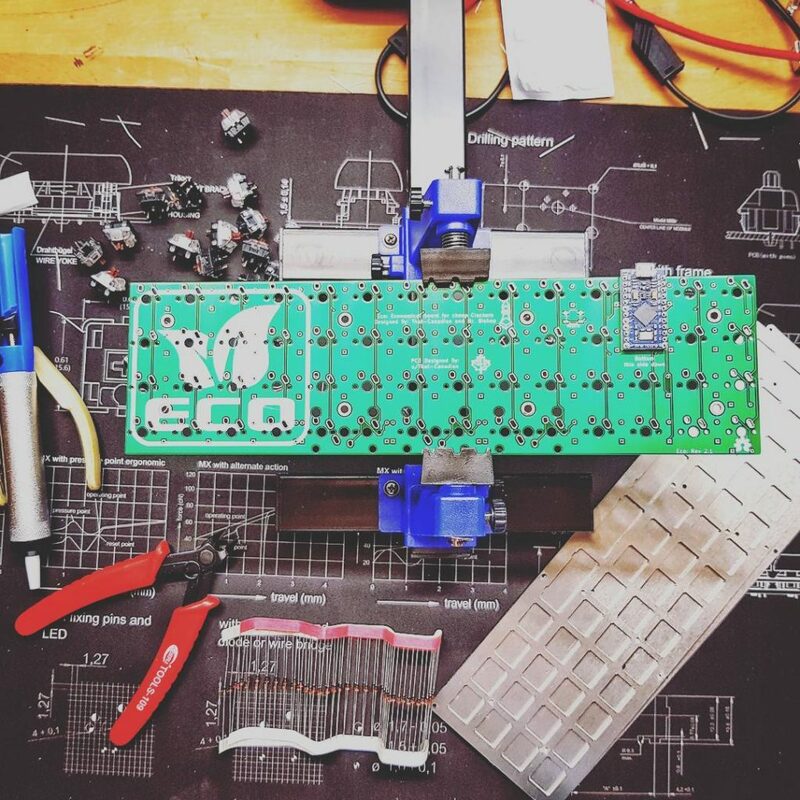 The ECO keyboard ready to be assembled in my workshop at home. When I first saw pictures of the ECO keyboard over at /r/mk, I just knew that I had to get it. The keyboard is designed by the Reddit user se7en9057 and the PCB was created by the Reddit user That-Canadian. It is basically an economical (hence the name ECO), extra long (4 rows by 14 columns), version of the Planck. The board is also a row smaller than my XD75re so it makes it even better for traveling etc (If I can get a nice sturdy case for it). I am planning to make this keyboard with Cherry MX Clear switches, as they are my favorite. Since I actually hope to use this as one of my primary keyboards, then it would make good sense to use my favorite switch with it. So what makes this keyboard so interesting for me? It is just wide enough to have room for all the Nordic keys we have on our ISO layout boards. I am still unsure if I will make it with 2u space or multiple 1u space keys. It is easier to re-arrange the layout afterward if it is all 1u keys, but the 2u space is nicer to use. The board is already set up in the workshop at home and ready to be assembled. It is a pretty simple build, so I don’t expect it to take long – well except for the case I plan to make for it. I will add the build log here as soon as I am done.